Giro 100, My Blog, Pro Cycling. Today the 100th Giro ends in the same place where it all began back in 1909. On the 13th of May 127 riders set off at 2:53 from outside the Gazzetta dello Sports headquarters in Milan to tackle eight stages over a total distance of 2448 km. This is the story of he first Giro d’Italia. Two riders were expected to compete for victory in the inaugural Giro d’Italia. They were the Italians Luigi Gana and Giovanni Gerbi who had excellent one day race pedigree but hadn’t done much stage racing. The organisers of the race would have loved an Italian to win but the start list also included former Tour de France winner Louis Trousselier and current Tour champion Lucien Petit-Breton. The stages were going to be incredibly long, with some lasting over 14 hours for the best riders, but they would have at least one rest day between them. The race would be decided by a points system rather than time elapsed. It was thought that doing things this way would discourage riders from cheating to gain time on their rivals. A points based system was also much cheaper and easy to run. The rider who won the stage got one point, second place got two and so on. So after eight stages the man with the fewest points would be the winner. Other means to help ensure a fair race included checkpoints along each stage where riders would have to sign in to prove they were cycling along the whole route and photographs that were taken at the start and finish lines. They would be compared by judges to make sure ringers weren’t used by riders not keen on cycling the whole route. The riders would either part of a team or be racing as independents (riding for themselves) and all but five were Italian. The first stage set off from Milan and would eventually end in Bologna, a massive 397 km later. After only 2 km the Giro suffered from its first mass crash, probably not surprising as it was the middle of the night and streetlights weren’t what they are now. Giovanni Gerbi was the worst affected, his back wheel and fork were damaged but he was able get a mechanic at the local Bianchi shop, which had opened late to celebrate the start of the Giro, to repair his bike and eventually rejoin his rivals. This wasn’t the Tour de France where the tough taskmaster Henri Desgrange had outlawed any outside assistance like this. Today is the final mountain stage of this years Giro and just before the riders take on the Foza, which will be the last chance for the climbers to do something before tomorrows time trial, they will skirt the edges of Bassano del Grappa the birthplace of a famous bicycle manufacturer. I have to admit I haven’t much knowledge of Italian bicycle brands. I know of Pinarello, Colnago and I can pick out a Bianchi from a distance because of it’s distinctive colour. I have also recently grown quite fond of the De Rosa brand and their beautiful machines. But I couldn’t tell you what bike such and such was on to win whatever race like a lot of people can. Growing up my favourite rider was Marco Pantani but I don’t even remember hearing of a Wilier-Triestina, the bike he was on during much of his career. My ignorance of Wilier changed when Femke Van den Driessche got caught with a hidden motor in her Wilier cyclo-cross bike during the World Championships in 2016. I heard that the company planned to sue the young Belgium rider for the damage caused to the brand but the affair got me interested in finding out more about them and I now have a respect and appreciation for their famous Italian bikes. It all started in 1906 when a trader and craftsman from Bassano del Grappa called Pietro Dal Molin set up a company called Ciclomeccanica Dal Molin with the aim of producing bicycles. He was fascinated by them and understood their potential for becoming highly popular. When he bought over a small English bicycle company called Wilier and set up a small workshop he was ready to produce his first bike. Before long his company was producing some fine bicycles which were considered fashionable to be seen on in and around Bassano. Orders started coming in from other parts of Italy which meant the company had to move into a bigger factory. Now mass production was possible which drove the costs down meaning more people could afford their bicycles. Despite the First World War the company grew from strength to strength. 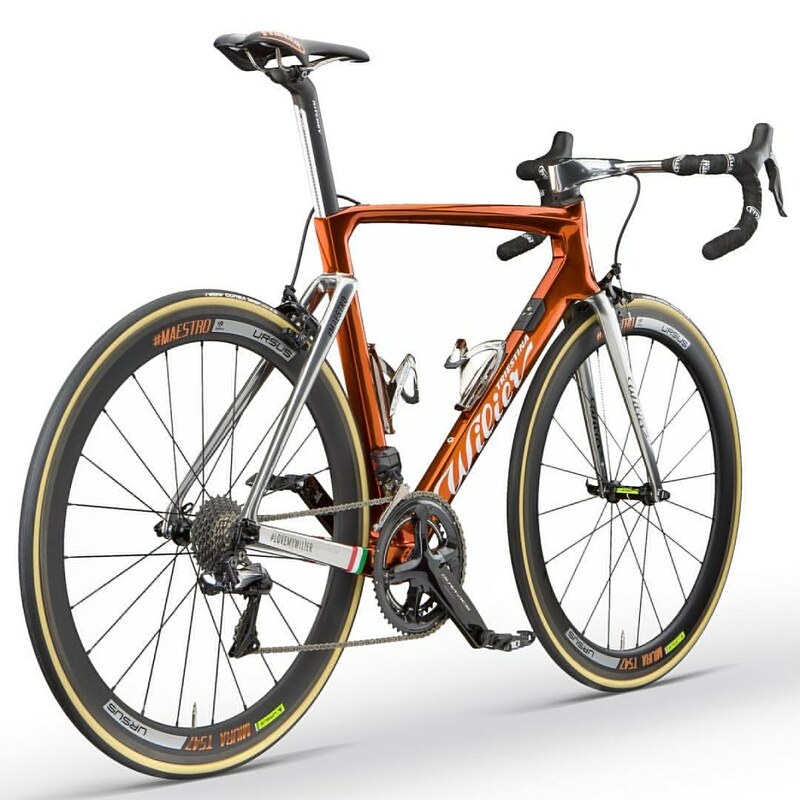 They even produced bikes for the Italian rifle regiment, a move which increased the prestige of Wilier bikes even further. After the war the factory was made even bigger and when one of Dal Molin’s sons Mario took over the firm he sought new and better ways to produce bicycles using chrome and nickel plating which ultimately led to a finished product with a higher standard. Giro 100. Cima Sappada And The 1987 Giro. Italy along with France and Belgium are steeped in cycling history. They are the places where it all began and the experiences of the many riders and races from there have left their mark on the population. Football has taken over as the dominant sport but cycling still has a huge following. In some areas people can watch a few top races every year without traveling to far from home, fan clubs can be joined and there are plenty of like minded folk to chat to about the sport. Being a fan of cycling in Glasgow is very different. If you mention the sport in a pub people will often look at you with confusion. When they do respond it will usually be to say “Ach they’re all on drugs anyway”, as they watch Pep Guardiola and Antonio Conte’s latest teams play each other. When they do take an interest you tend to explain things with footballing analogies. Seemingly futile breaks up the road are like small teams entering cup competitions. It seems pointless but once in a blue moon there is a moment of glory, and there are financial incentives. Froome and Wiggins time together at Team Sky is like the Scottish National team in the old days when Celtic and Rangers players would supposedly not pass the ball to each other. It would be difficult to explain though, even in a city of Old Firm hatred, what was going on in the 1987 Giro. Just after today’s first sprint in Sappada the road goes up slightly and over the Cima Sappada before dropping down for a long descent. Tackled the opposite direction the Cima Sappada is a pretty difficult climb and it was the finish of tough stage in the 1987 Giro d’Italia. The winner on that 15th stage was Johan van der Velde but it was the soap opera which unfolded behind him during the day which everyone was talking about. The winner from the previous year, Roberto Visentini, was one of the favourites before the race start along with Moreno Argentin and Robert Millar. Visentini’s Carrera team mate Stephen Roche was probably the form rider after good early season wins at the Tours of Valencia and Romandie and a decent second at Liège–Bastogne–Liège. Visentini season had been pretty insipid in comparison but as the reigning champion he believed that the issue of team leadership wasn’t in question. Roche would ride for him at the Giro in return for his help at the Tour. In reality the Carrera team management would allow the issue to play out on the road but still chose a team of riders deeply loyal to the Italian. In the squad there was only the Belgium gregario Eddy Schepers who Roche could call a friend. Roche wasn’t happy at this imbalance and when he found out that Visentini had booked a holiday for July, when he would apparently be helping Roche at the Tour, the Irishman decided he would be going for the Giro, no mater what team orders dictated. Just after the midpoint of today’s stage the race goes over the category 3 climb the Giovo. Just to the the south is Trento, a city visited by the Giro many times for stage starts and finishes. Trento is also where you would start the climb of Monte Bondone which in 1956 was the end point of one of the most epic stages in Giro history. Stage 20 was to be the final mountain stage of the 1956 Giro d’Italia and with only two flat days to come it would be clear who the winner of the Maglia Rosa would be atop the Bondone. Only 9 seconds separated Pasquale Fornara and Cleto Maule in 1st and 2nd and anyone down to Giuseppe Buratti in 8th and 3 minutes 38 seconds back would have been in with a chance of snatching the lead. The day was a long 242 km from Merano and would go over Costalunga, the Rolle and the Brocon before the final climb so there would be plenty of opportunity to put time on rivals. The pre-race favourites hadn’t been having a good race. Fausto Coppi had crashed out on stage 6 and Fiorenzo Magni, the defending champion, suffered two horrendous crashes. He had broken his left collarbone on stage 12 but decided to doggedly fight on. Before stage 15, a short uphill time trial, the muscles in his left arm were in agony making it almost impossible for him to steer his bike. So his mechanic came up with the crazy idea of tying and inner tube to Magni’s handle bars and getting the Italian to stick the other end between his teeth and steer by yanking his head back at the right moment. I don’t know what is the most surprising, the plan, the fact that Magni went along with it or that it worked. The next day he went down again, broke his upper arm, fainted, came to in an ambulance before getting back on his bike to continue. At the start of stage 20 he was only around 7 minutes behind the leader, remarkable given the circumstances. Giro 100. Cima Coppi And La Neve. Today is the Queen stage of this years Giro d’Italia. Running for 222 km from Rovetta to Bormio it includes three monster climbs, the Mortirollo, the Umbrailpass and between them the Stelvio where this years Cima Coppi prize will be awarded. The Cima Coppi has been the name given to the highest point of the Giro since 1965 and the first rider to go over it is given the Cima Coppi prize. The list of winners over the years is pretty eclectic and includes the greatest Grand Tour riders from history such as Eddy Merckx, Laurent Fignon and Miguel Indurain. Others may regard getting the Cima Coppi prize as the high point of their careers. The French rider Yoann Le Boulanger crested the Colle dell’Angelo first in 2007 to add the award to his top stage wins at the Tour de L’Avenir and Tour de la Somme and Vladimir Miholjević of Croatia, first over the Gavia in 2004, perhaps only considers his national titles to have greater worth. The rider who has had most success with the prize in the sky is the Spanish climber José-Manuel Fuente who won three Cima Coppi’s in a row over three different summits (the Stelvio, Giau and the Tre Cime di Lavaredo) between 1972 and 1974. There is one mountain which if it’s in the Giro route will be the Cima Coppi no mater where else the race goes. The Passo dello Stelvio, the first Cima Coppi in 1965, is the highest point that the race has ever reached at 2758 metres. It has been climbed ten times in the Giro since its debut in 1953 and that number would be higher if wasn’t for the weather. Because it is so high up the area can be effected by heavy snowfall, even during May when the Giro is run. Giro 100. Tappa, And The Toughest Giro. Luigi Ganna and Carlo Durando on Sestriere in the 1914 Gito d’Italia. Today’s stage of the Giro travels between Reggio Emilia and Tortona stretching for 162 km. The length is a little below the average of a typical stage in the race these days and and quite a bit shorter than this years longest stage which was yesterdays at 237 km. That distance though would be considered short in the first edition of the race. Since then the formula of the Giro, in terms of the number and length of stages, has been tinkered about with. In general there are now more but shorter stages. More is being done to make the days interesting and varied rather than planning the route in terms of getting from one city to the next. It took a while to get to what we are used to today, 21 stages of varying length but nothing much more than 250 km and about 3500 km in total. The very first stage of the Giro d’Italia was a mammoth 397 km slog between Milan and Bologna and stages in excess of 300 km were the norm in the formative years of the race. The finishing time of that first ever stage was 14 hours 6 minutes and 15 seconds and the average speed was 28 km/hr which is not bad considering how uncomfortable it must have been on those early racing bikes going over rough roads for so long. It must have been disheartening for the riders to know that the next stage was going to be 376 km. Fortunately there were at least one rest day between stages back in the early Giri. There were also only 8 stages in 1909 but the total distance of 2447 km meant an average stage length of 305 km. In 1911 the number of stages had gone up to 12 and so did the overall distance. At 3530 km it was as long as this years centenary edition which has 21 stages. After an undulating start to today’s stage with two categorised climbs the route heads north towards Bologna before swinging west to join the SS9 towards Modena. Instead of staying on the state highway though the course takes a detour through the town of Castelfranco Emilia before rejoining and finally ending in Reggio Emilia. The reason for this deviation in the one hundredth Giro is clear. Castelfranco Emilia is the birthplace of Alfonsina Strada who in 1924 became the only woman to ever ride the Giro d’Italia. The 1924 race took place during a period of hostility between riders, teams and the organisers. Some of the stars of the day wanted appearance money from their teams simply to ride the Giro, as well as the usual prize money. The teams agreed but insisted that the money should come from the organisers of the race and not them. Not wanting to look soft and encourage future demands the organisers point blank refused all appeals for such payments. After getting their rebuff the top riders, and consequently their teams, decided they would boycott the race. They hopped to show the Giro that it wouldn’t be able to cope without them. To deal with this problem the organisers decided they would open up registration to individual riders instead of teams saying they would pay for their food and accommodation during the Giro though the racers wouldn’t have any help from team cars. Some of the top riders not involved in the dispute didn’t fancy those conditions but this opened up the way for some lesser known riders to enter. If you look at the race guide for today’s stage it will tell you it starts in Firenze (Florence) and in brackets is the name Ponte A Ema. Ponte A Ema is a small town just beyond Florence’s green belt to the south east. It is the location of the stages kilometer zero and has been chosen as the start for one reason, Ponte A Ema’s most famous son, Gino Bartali. Bartali was the third in the line of the great Italian riders who dominated the Giro for periods. First there was Costante Girardengo, then Alfredo Binda and after that the Tuscan with the boxers nose, Gino Bartali. His first Giro was in 1935 when he was aged 21 and strangely enough that edition included both Girardengo and Binda. 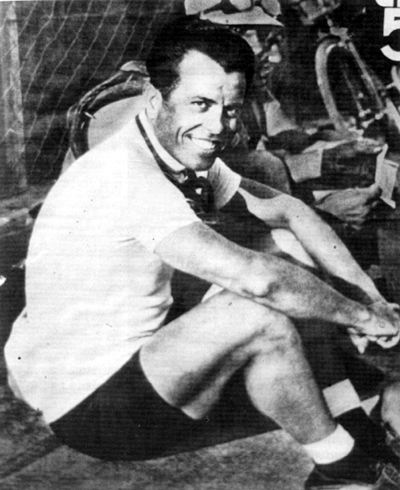 Girardengo now aged 42 had once planned to retire after winning the 1925 Giro. Unfortunately he didn’t win the race in ’25 and chose to plough on to try and win his third Giro. He was now a shadow of his former self. The thirty three year old Binda was still a fine rider but had also seen better days. Bartali finished a credible 7th but perhaps more significantly he won a tough stage 6 and the mountains classification. He returned the next year where his main rival was the time trial specialist Giuseppe Olmo. Olmo who had beat the world hour record at the at the Vigorelli Velodrome in Milan the previous October took time off Bartali in the races two time trials but Bartali was imperious in the mountains. On stage nine to L’Aquila, where he got his maiden stage win the year before, he went on a legendary solo win and finished over 6 minutes ahead of his nearest rival. The manner of his ride shocked his rivals who knew they would now be chasing greatness. He ended the race 2 minutes 36 seconds ahead of Olmo and retained the mountains classification. Giro 100. Time Trials And Automobiles. Today we see the first time trial in this years Giro. The first time trial of any Giro was held in the 1933 edition. The introduction of the race against the clock would have a huge influence on who could contend for the title. Before you had to be an excellent climber and have a strong team in the rolling stages but now a new skill was needed. Specialists in time trialing could make up deficits lost in the mountains and pure climbers would see their chances of winning the Giro erode in the race against the truth. The 1933 race was also the first edition where the mountains competition was run, perhaps the organisers set it up as some kind of consolation for the climbers. The ’33 race is seen as the first modern Giro and has many similarities to what we are used to in Grand Tours today. The type of rider who would win the Giro from 1933 on would be similar to the GC riders who could be victorious this year. The Giro itself was nearly what we are used to seeing these days too. It was up to 17 stages where before it was between 9 and 13 and it also had the races first publicity caravan. One difference was the mountain stages were at the start of the race followed by the flat stages and time trial. The time trial was run on the 13th stage between Bologna and Ferrara and was 62 km long. It was won by over a minute by Alfredo Binda who was a rare breed of rider that can climb like an angel but also has the horsepower to win against the clock. In the end the time trial didn’t make much difference. Binda was at the top of his game that year and won the race by over 12 minutes. It wasn’t till the next year that it became obvious how important time trials were.